As entrepreneurs, we easily whip out our credit cards to pay for online courses to “fix” ourselves or our businesses, or we splurge on the latest software to stay current but. . . . Suddenly, when it comes to actually hiring someone to help us, we get skeptical. The fact of the matter is that your company’s biggest leaps are probably only going to happen when you free yourself—physically and emotionally—for the BIG things. The problem is that we don’t look at delegation from an investment point of view. We often say “no” to it because we mistakenly believe delegating has to be an expensive (almost a luxury), time-consuming, and possibly unmanageable situation. Yes, in the very beginning, you might have to take care of everything in your business. You need to learn the ropes. Did you know, though, that in just a matter of months, you can easily become the bottleneck of your own business and prevent it from further growth? 1. All you do is work. You’re swamped but don’t make any progress because you spend all your time on small stuff and don’t have any energy for things that really matter. She’s a cartoonist who loves what she does but for quite some time hasn’t had time for big interesting projects. She spends her time promoting her business on social media profiles, preparing blog posts, responding to client inquiries and delivering (over and over again) almost the same type of animation movies. Beatrice is dreaming about partnering with a studio to shoot a clip where children are playing with animated characters. She’s even created storyboards for it, but they’ve been in a folder for months. 2. You’ve become a slave to your business. Many of us start our own businesses to experience more freedom to make our own schedules and spend more time with our families. Instead, we end up in the same situation as Laura, who spends more time with her business than she does with her young child. She works during the day while he’s at daycare, thinks about her business while playing with him in the evening and opens the laptop the moment he goes to bed. The business she started with so much love now feels like a trap. 3. Things are falling through the cracks despite your best efforts. You can’t keep track of what’s happening in certain areas of your business, so you end up putting out fires left and right because you missed a deadline, forgot to pay an important supplier or missed out on a partnership opportunity with an industry influencer. Have you been in a situation similar to Kevin’s? He’s a wedding photographer who discovered an e-mail asking if he was available to shoot the mayor’s daughter wedding. . .three days after the celebration. 4. You have little to no time to yourself. Your phone constantly beeps, notifying you of another email or business appointment. When the phone doesn’t beep, you check it non-stop to make sure the technology works. You have to pick vacation spots where you have good reception and speedy internet. Perhaps you don’t even remember when you last went on vacation. Non-delegation has steep physical and emotional costs. The good news is that you can minimize—if not prevent—these costs by letting go of some of the tasks crowding your plate. Look at your daily tasks and pinpoint those that make you drag your feet or which take you a ridiculously long time. For example, if you get angry with yourself for spending yet another 2 hours formatting pictures for your jewelry website, that’s a task to go on your “To Delegate” list. 1. Explaining your processes doesn’t have to take long. Use (free) software like Jing to record your screen as you show and narrate how you do something (e.g., uploading your blog posts). 2. Defining the end result of the project can be the key to your success (or failure). Be clear when you specify what you need. If possible, give examples of the outcome you want. 3. Setting accurate expectations keeps everyone on track. Always specify deadlines for small projects and smaller milestones for complex ones. 4. You can (and should) be in charge of your delegation expenses. Pay per project (versus hourly) so that your delegation expenses don’t skyrocket. Alternatively, agree upfront on the number of hours the assignment will take. 5. Defining deliverables can become your quality guarantee. If you are clear what you need to be done and in what way (ideally in writing or screencast), you’re less likely to have to pay for an incorrectly performed project. 6. Giving potential hires paid test projects and offering trial periods makes it easier to ensure you hire the right person. Giving them the opportunity to demonstrate their skills also allows you to see how they will (or won’t) fit into your company’s culture. 7. 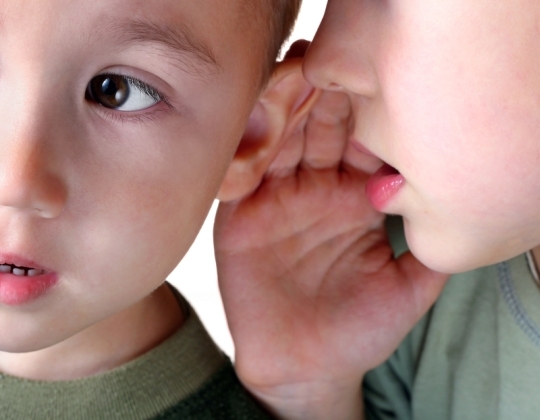 Keeping the communication lines open for feedback and suggestions establishes trust and creates rapport. Asking your new team member for feedback makes them feel a sense of ownership in the project and encourages them to perform to the best of their abilities. For a post that details exactly how to delegate to a virtual assistant, read this post! 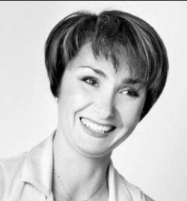 Natasha Vorompiova is the founder of SystemsRock, architect of business systems that work and proud participant of $100 Change Program. Her clients are small business owners, who start their businesses with passion and a desire for freedom, but find themselves stuck and buried in day-to-day operations. Natasha teaches delegation mastery techniques that help them Get.Stuff.Done., while paving the way for greater profits and long-term business success. Get your FREE Systems Chick Guide to Mastering Your Delegation Skills for simple ways to grow your business and get your life back. Natasha is generously funding EVERY person who joins her 6 Weeks To Your Dream Team program onto my $100 Change Program! So double bonus right there. 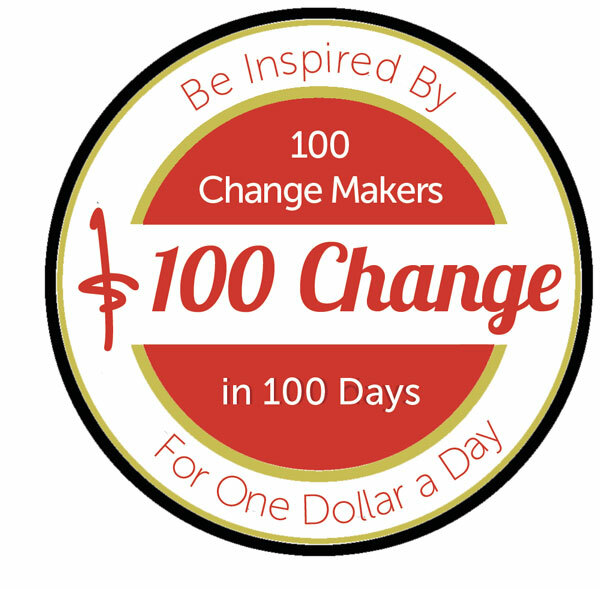 $100 Change is a digitally delivered eCourse designed to ensure you start your dream project or amp up your existing business. Join right now. Now let me challenge YOU!